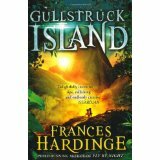 Frances grew up in an old house in rural Kent, where the wind wuthered. She has always liked dark stories – when she was six, she wrote a short story that included an attempted poisoning, a faked death and a villain being thrown off a cliff – all in just one page! Later she read English at Oxford University amid medieval towers and gargoyle-strung chapels. Her hobbies include travelling, dressing in period costume and scuba diving. She is addicted to volcanoes and trying new things. 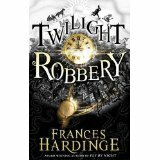 Frances has been writing (and wearing black hats) for years but didn’t submit anything for publication until her friend, the author Rhiannon Lassiter, stole her novel and gave it to an editor at Macmillan. 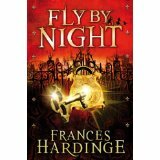 She was swiftly contracted to write Fly By Night. She later signed a three book deal which enabled her to write full time. 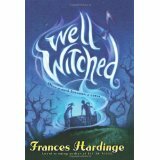 Frances has won the Branford Boase Award and has been shortlisted for the Guardian Children’s Fiction Prize and the William Crawford Award among others. Her second book was chosen as one of School Library Journal’s Best Children’s Books of 2008. Her third novel reached the finals of the Young Adult Category for the Los Angeles Times Book Award, and was also a finalist for the School Library Journal’s Battle of the Books. 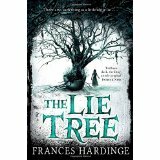 She has also been longlisted for the CILIP Carnegie Medal (three times now!) and the UK Literary Association Book Award. Cuckoo Song was chosen as one of the Sunday Times 100 Modern Children’s Classics. 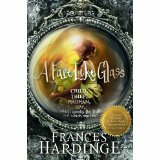 Find Frances on Twitter @FrancesHardinge. 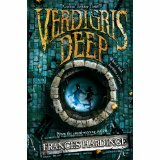 Verdigris Deep: Verdigris n. a blue-green rust that tarnishes ageing and forgotten copper coins, altering them entirely… When Ryan and his friends are caught stranded and penniless late one night, they steal some coins from a well for their bus fare home. Soon after, strange things begin to happen. Peculiar marks tingle on Ryan’s knuckles, light bulbs mysteriously explode and a terrified Chelle starts speaking words that aren’t her own. Then the well witch appears, with her fountains for eyes and gargled demands. From now on, the friends must serve her… and the wishes that lie rotting at the bottom of her well.